Subscribe with confidence. Your information is safe with us. We do not sell or transfer your information to anyone. 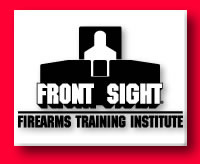 15 Special Gun Training Reports written specifically for you by Front Sight's founder, director, and Four Weapons Combat Master: Dr. Ignatius Piazza. Subscribe TODAY and Dr. Piazza will mail you his award-winning, Hollywood-produced Front Sight Legacy DVD and Firearms Training Brochure free of charge!